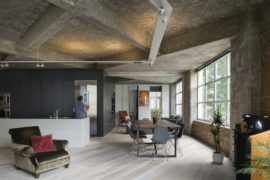 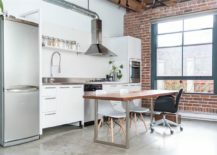 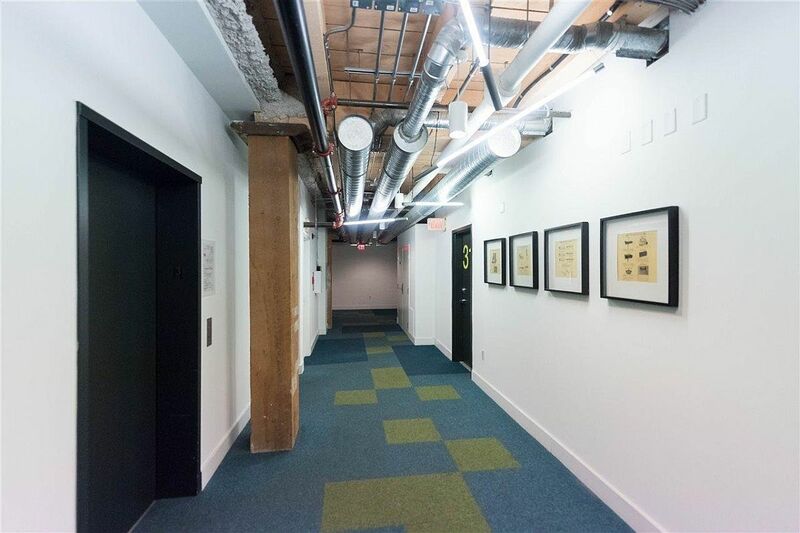 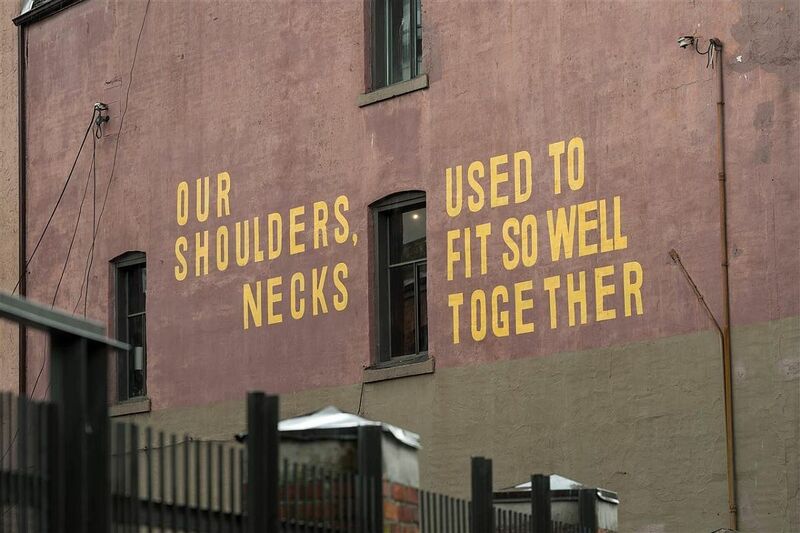 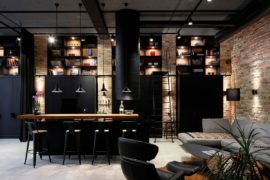 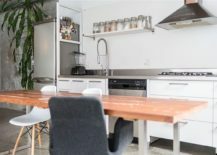 The smart array of reimagined and invigorated old industrial buildings in cities like New York, London and Vancouver are a big part of the reason why modern industrial has become one of the hottest decorating styles in the last few years. 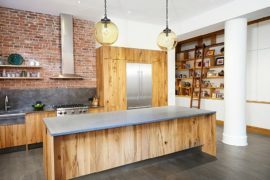 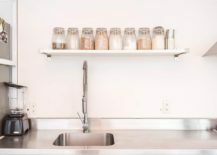 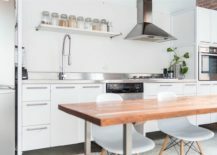 What started out as a necessity has become a dramatic trend that is shaping homes across the world. 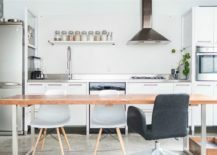 Today we head back to one of modern industrial style’s birthplaces and look at a gorgeous apartment that is all about space-savvy elegance, a dash of minimalism and plenty of textural contrast! 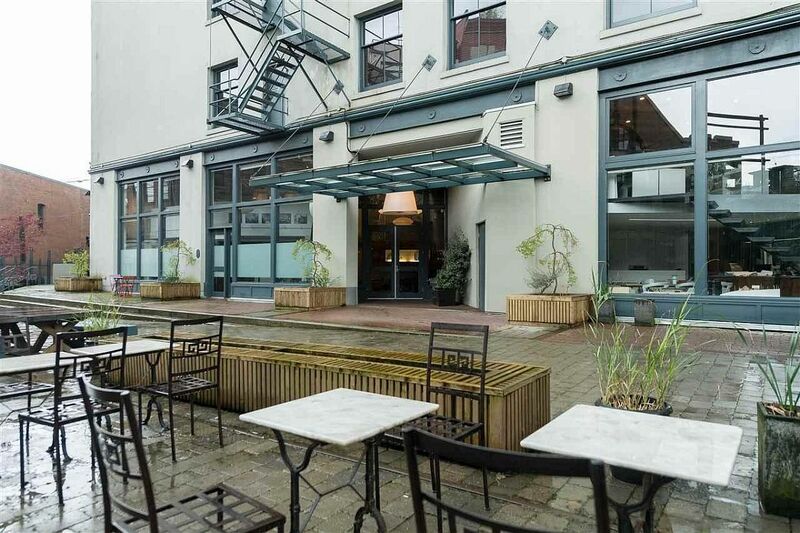 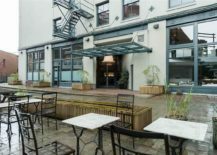 Listed on Albrighton Real Estate, this East Cordova Street apartment is nestled in a building that was originally built in 1909. 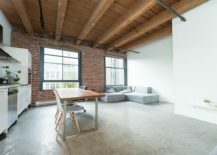 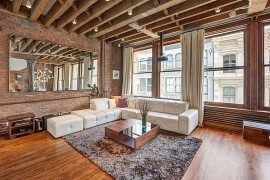 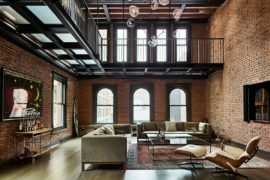 Used in several different days for nearly a century, its new-found avatar as a loft condominium was completed in 2006, even while preserving some of the original brick walls and woodwork. 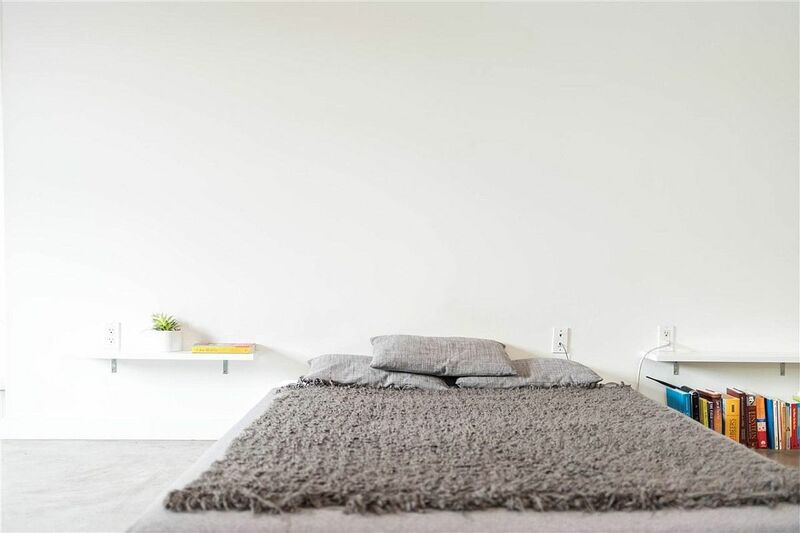 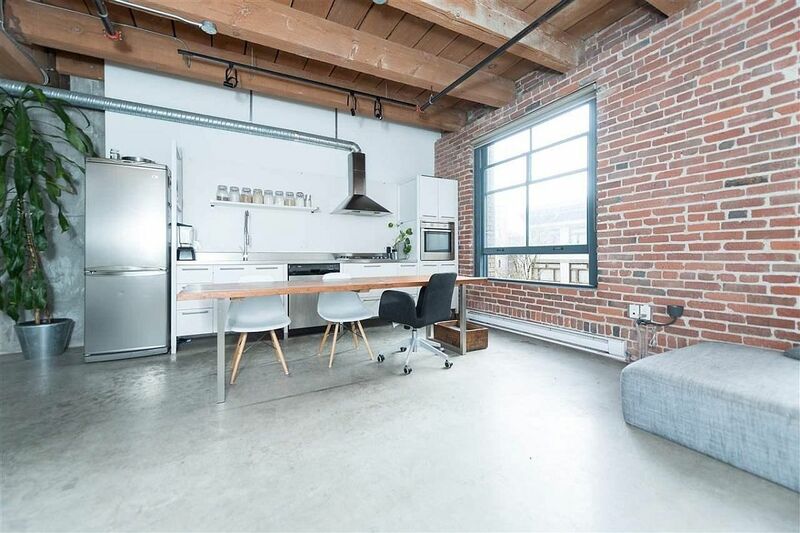 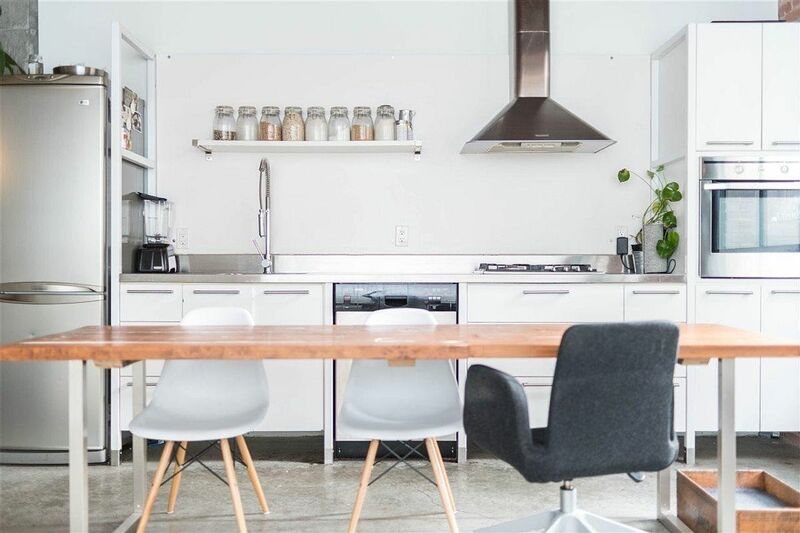 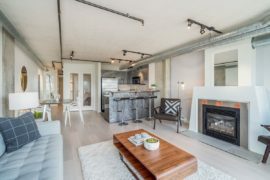 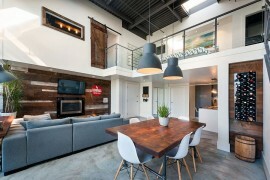 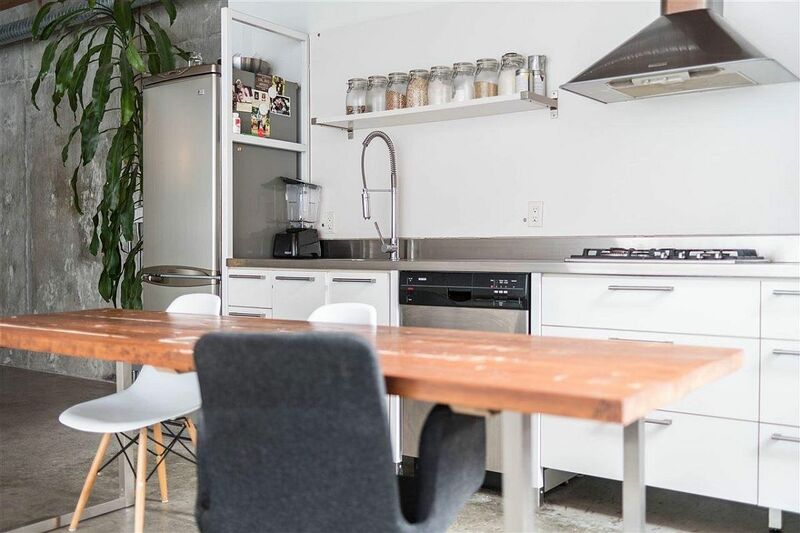 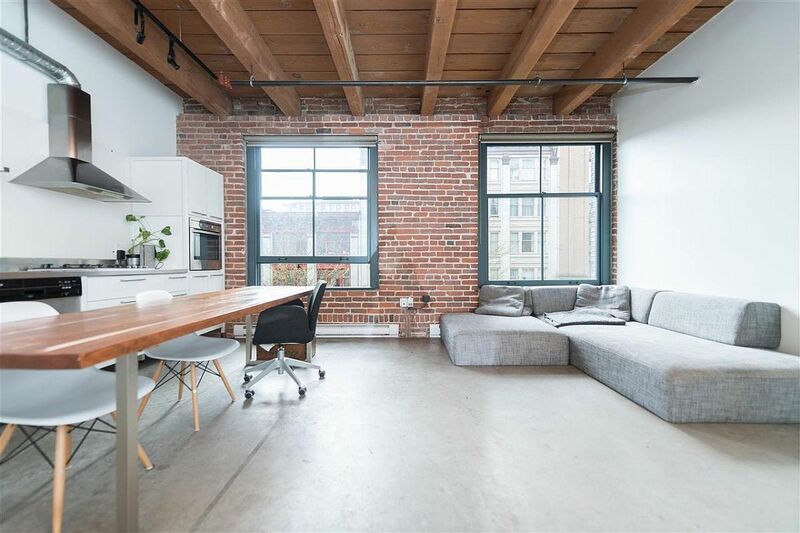 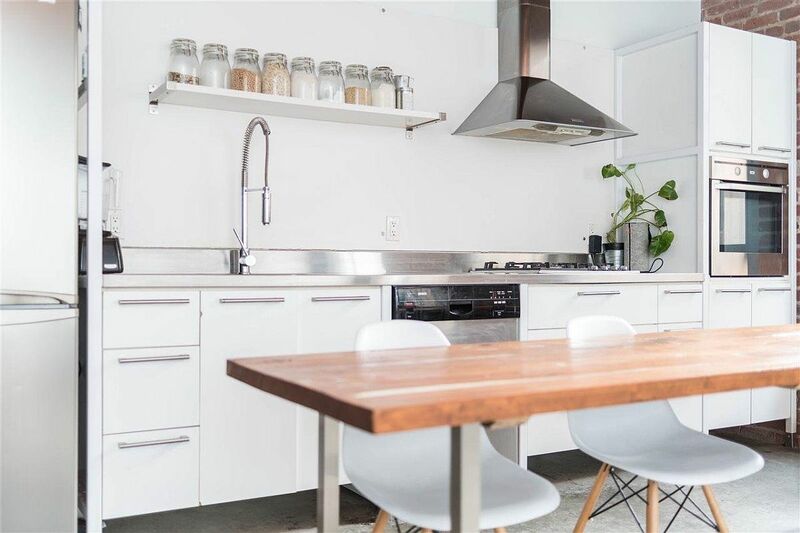 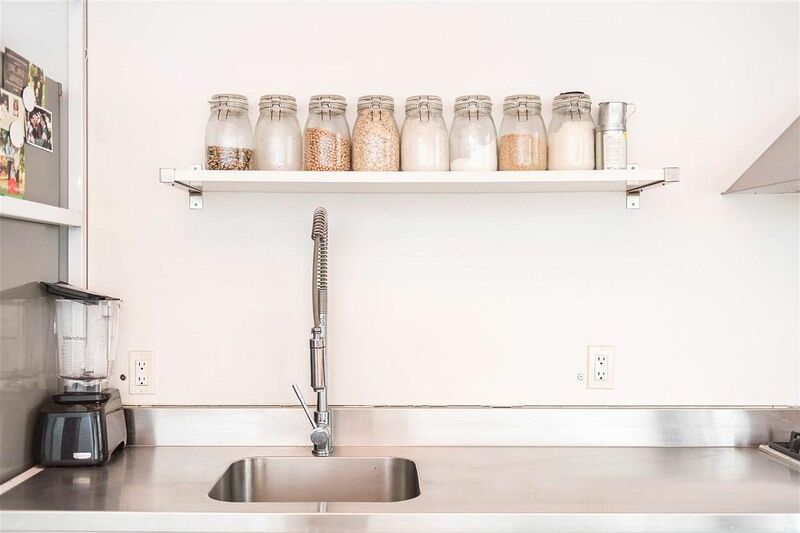 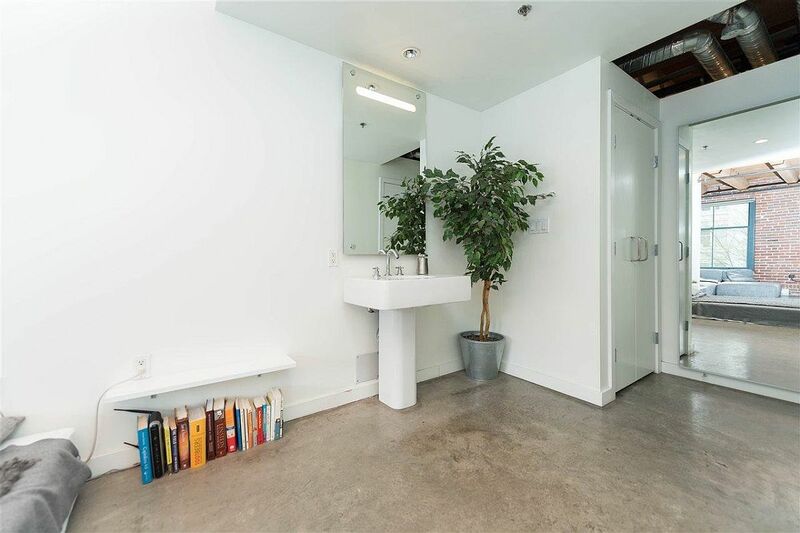 Set in a sough-after neighborhood of Gastown, Vancouver the fabulous apartment that is currently up for grabs will set you back by $619,000. 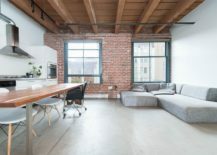 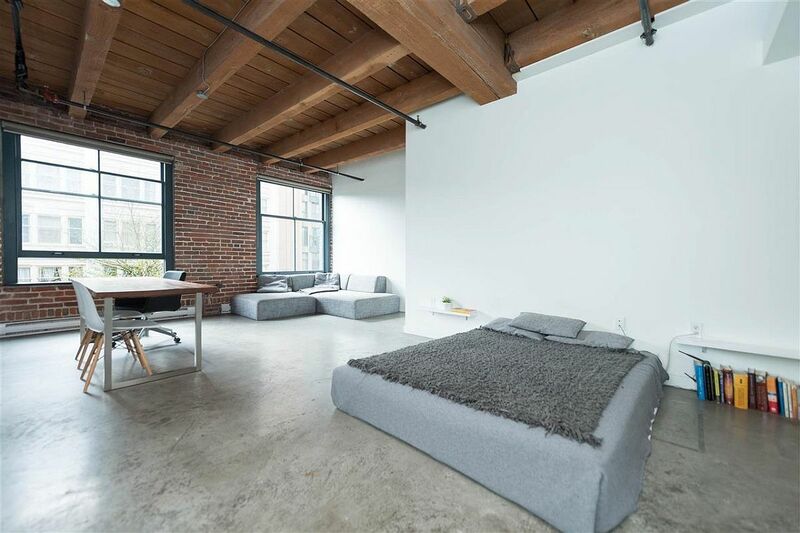 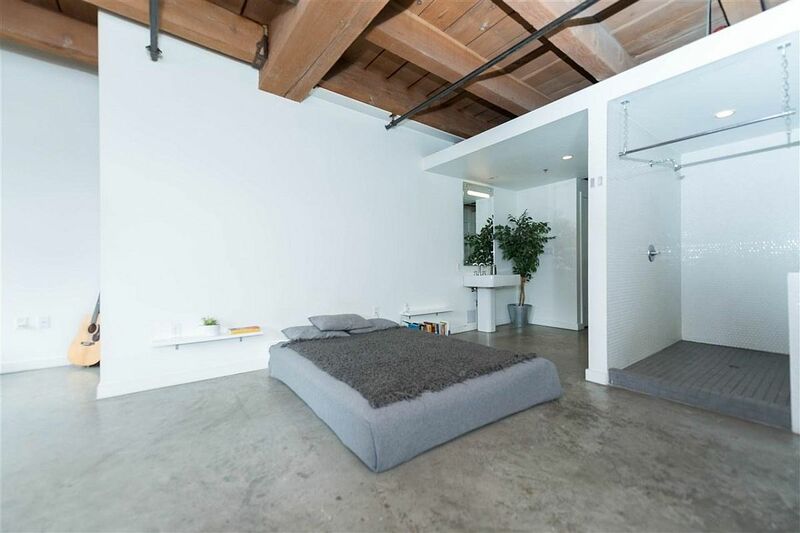 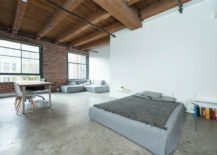 That does seem like a bargain when you consider the locality of the loft, its modern interior that is disturbed by exposed brick walls, wooden ceiling beams and metallic duct pipes and of course, the flexible, open floor plan. 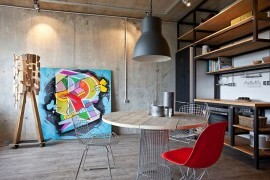 The 720-sqaure-foot apartment boasts of 10-foot high ceilings, giving it a cheerful and spacious visual appeal. 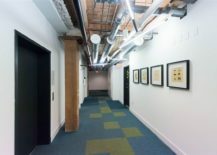 This is enhanced by the use of a monochromatic, white backdrop that cuts down on visual fragmentation. Internal partitions are kept to a bare minimum with even the bedroom feeling like an extension of the large living area. 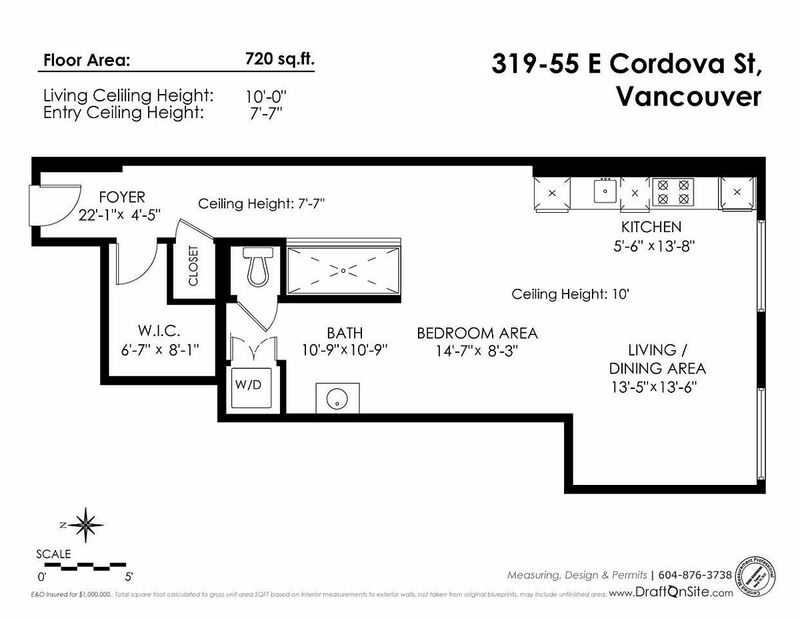 A small kitchen in the corner, bathroom, dinning space and foyer complete this altered Vancouver home.